While it might seem incomprehensible that you could go wrong with a dish that’s mostly made up of cheese, tortillas, and beef, truly incredible Mexican food can be surprisingly hard to find -- even here in the heart of the Southwest. 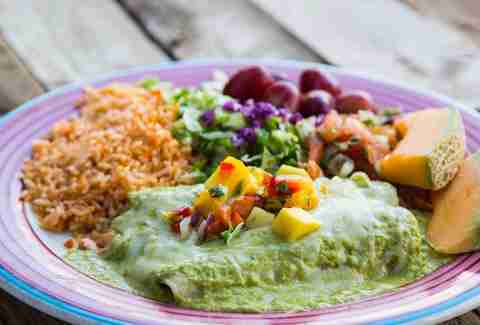 Since we strongly believe life’s too short for mediocre tacos (or enchiladas, or quesadillas, or churros, and certainly margaritas) we rounded up our top Mexican food picks in the Valley for your dining pleasure. Have at it. It may be a hole-in-the-wall, but you can pretty much throw a dart at this menu and leave satisfied. If tacos are your bag, go for (in this order) the shredded beef, the chicken, and then the fish, and finish it all with an order of the old-school sopaipillas. 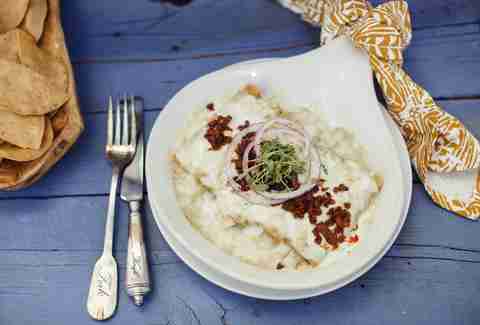 Their poblano cream chicken enchilada is a delicious mix of mild poblano, a light and fluffy tortilla, and chicken prepared so that it's evenly distributed throughout the enchilada. This spot's also been around for more than 25 years and has great patio in the back with outdoor seating. Their name isn’t just a marketing play -- Rosa’s grandson opened the first Tia Rosa restaurant in Mesa in 1991 exclusively using Rosa’s homegrown Mexican recipes, and the decor matches the traditional-ness of the menu. Everything on the menu is great here, but you should make room for the Mexico City-style carne asada, which they roast in an oven for 10 hours before it's lightly charbroiled to perfection. Unsurprisingly, these guys do two things really well: tacos and tequila. With the vast shelves of the liquor, you can create approximately 1 million variations on the margarita. 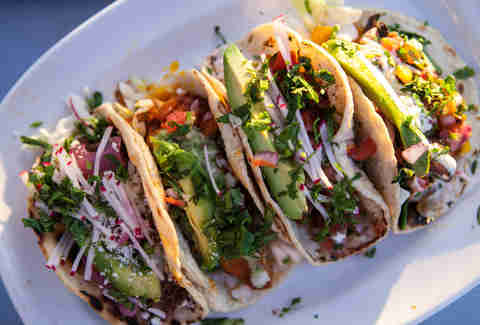 Their new Mexican dishes cut back on the grease and lighten things up with the freshest veggies and cheeses, and their happy hour comes with as many rounds of tacos as you can handle. 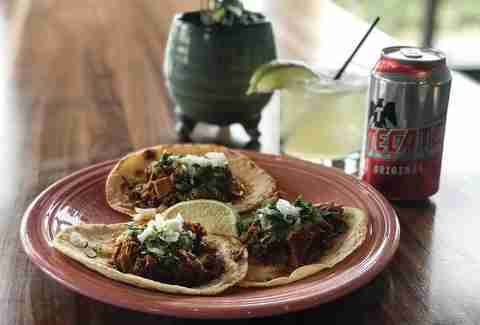 Its slow-cooked BBQ pork tacos have won awards, and rightly so. If you're in the mood to party, their Scottsdale location has DJs on Friday and Saturday nights. Are you young, love Mexican food, and have great taste? Joyride it is! Despite its relative newness and a crowd that skews younger and hipper, the cuisine sticks to the traditionals (chicken mole, etc), but does them really well. For the lunch crowd that likes something to drink with their tacos, they offer $5 margaritas, pitchers of beer, and spiked aguas frescas. Don't skip the crispy fish tacos, which are beer-battered and insanely good. 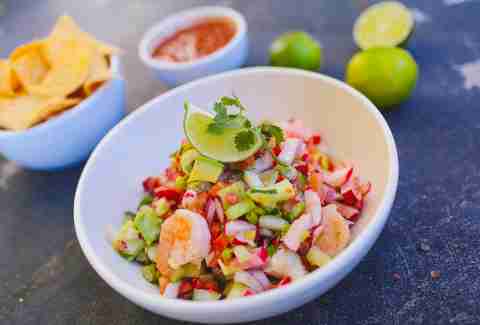 Featuring an easygoing, wood-decked vibe, Gallo offers up a range of modern Mexican bites including breakfast classics like huevos rancheros (which you can get any time of the day), ceviche made with poached shrimp, and a full margarita and cocktail menu. Food-wise, you can’t go wrong with the pescado del dia, which comes with two sides. And take note: they have happy hour every day, but on Tuesdays, happy hour runs all day from open to close. 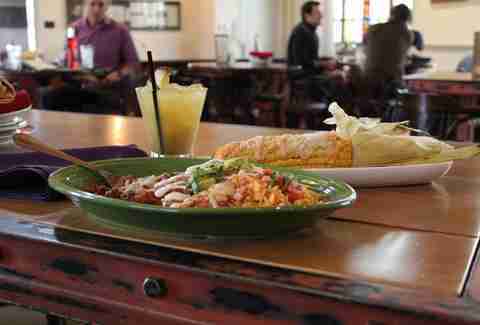 With three colorfully appointed dining rooms, Barrio’s been putting out authentic Mexican for the last 12 years, and doing it really well. 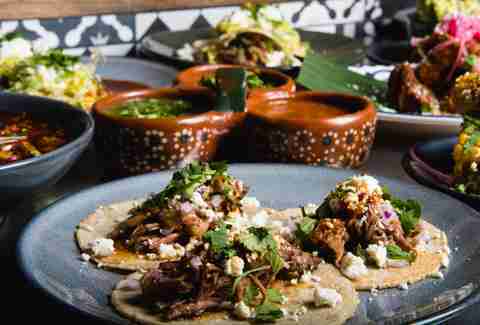 The brains behind the operation is chef Silvana Salcido Esparza, who successfully took inspiration from various Mexican regional dishes and stuck them under one roof. Boasting 205-plus tequilas and an extensive food menu to match, it even has a Sunday brunch menu complete with an entrée dubbed huevos divorciados, which differs from the classic huevos rancheros because the eggs are prepared separate of one another, and they sub hollandaise for a salsa mix. If you're not in the mood for that, though, go for the cochinita pibil tortas topped with pickled red onion. By now, the Tee Pee has cemented its legendary status -- hosting the likes of Pink Floyd, Chuck Norris, ZZ Top, and even President George W. Bush in its nearly 60-year history. The family-owned restaurant is certainly casual and homey, which only adds to its charm, and the food is as authentic and traditional is it gets. When you get there, get Nana’s chili rellenos, which are just as classic as this beloved restaurant. 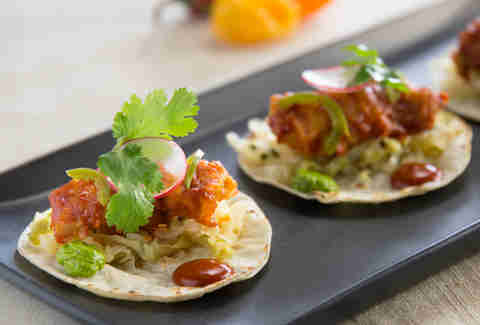 No one in their right mind doesn’t like tacos, and at CRU they’re serving up Latin-inspired tacos with a twist. For an unforgettable taco that’s just different enough to be unforgettable, this is your spot. Plus, the lively, modern atmosphere only adds to the experience. To really make a night of it, don’t forget to taste one of their 12 craft cocktails. Ladera has quickly become a staple in the Phoenix Mexican food scene since its opening last year thanks to its authentic Mexican fare, welcoming yet modern atmosphere, and its wildly popular brunch concept, which features $4 mimosas alongside chicken enchiladas, barbacoa hash, and dulce de leche French toast. For a full plate you won't want to miss, make sure you make room for their barbacoa, which features guajillo salsa, cilantro, elotes, cotija cheese, and corn cake. 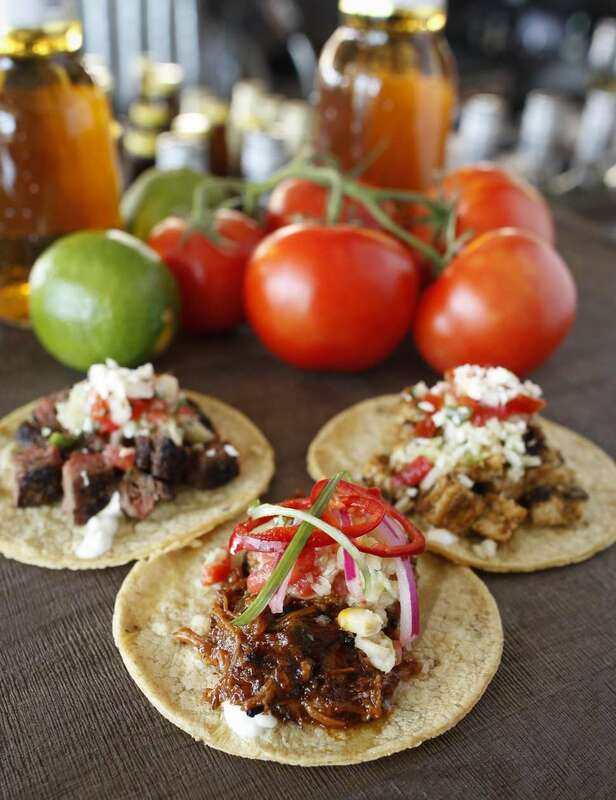 Taco Guild’s assortment of standout tacos, which include the chipotle cherry steak and the molida lamb with sweet potato hay and Creole aïoli, have been recognized as some of the best in the country, but what’s even more impressive is the restaurant’s atmosphere. Between its home in a cathedral-style dining room to its live music, dining here is a true sensory experience. If we had to pick just taco to recommend, it'd be their chipotle cherry steak New World taco, which features poblano straws, chile aioli, and blue cheese. Jamie Killin is a Phoenix writer always on a hunt for the next best quesadilla. Follow her on Instagram at @jamiefayekillin.